The bounce mats used for most trampolines are made from woven polypropylene and that material is recyclable – it’s a #5 plastic – so is, in theory, recyclable wherever #5 plastic is collected. 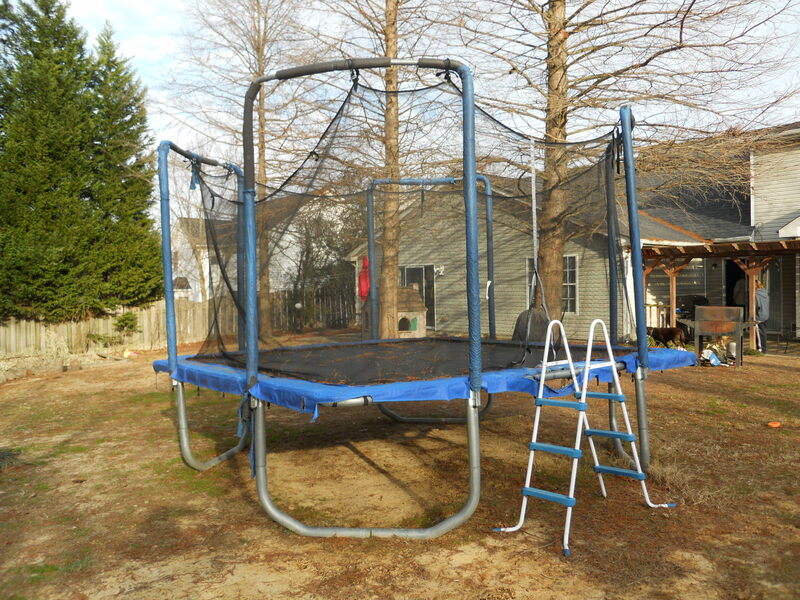 The trampoline frame and springs can be recycled for steel scrap at a local metal scrap yard. But, why not find a creative way to keep it and use the components! Do you need a garden? Outdoor seating area? Swinging Bed? Other DIY ideas include some additional thinking outside the bin! This entry was posted in Trampolines and tagged #5 plastic, postaday2011, steel recycling, swinging bed, trampoline, upcycle trampoline. Bookmark the permalink. Love your ideas on recycling I am a Professional Organizer (16 years and counting) and have forwarded your posts to many of my clients. You always mention the most unique items to recycle!